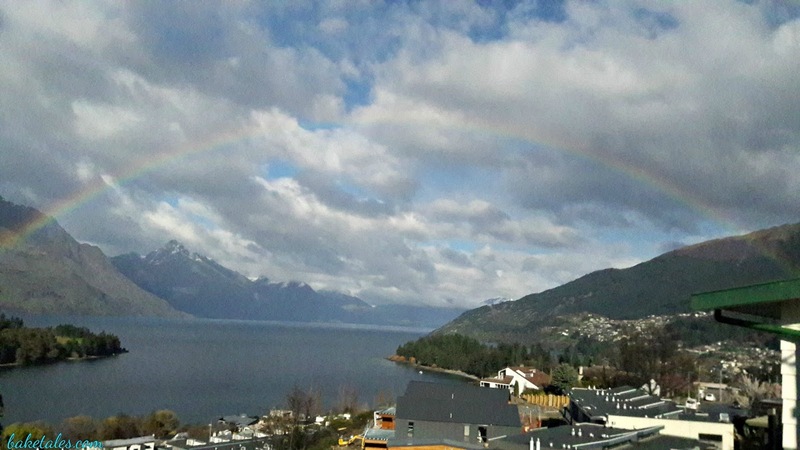 Our drive from Te Anau to the Alpine resort town of Queenstown took us along the zig-zag contours of Lake Wakatipu. According to Māori legend, Manata, the daughter of a chief went missing one day. While searching for her, they saw the huge footprints of the evil giant, Matau. The chief realised that the giant had taken away his daughter and he promised his men that he would marry her off to whomsoever brought her back. Matakauri, a village boy was the sole volunteer as he was in love with Manata. He found the giant fast asleep while his beloved was tied to a thorn bush; he used his pounamu adze to break the bonds that held her but finally it was her tears that melted away the magical bonds. The chief kept his word and had them married but Matakauri knew that one day, the giant would wake up and destroy the tribe so he decided to kill the giant. As the giant slept, his knees drawn up and body wrapped around the hills and mountains, Matakauri set fire to the undergrowth he rested on and as his body burned and sank into the ground, it created a long, deep hole that filled up with water from the rains. It's said that the giant's heart still beats because the waters of the lake rise and fall a few inches every half an hour or so!! 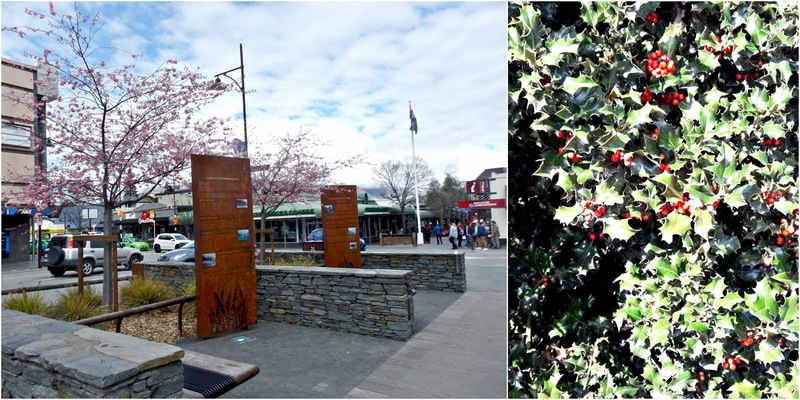 Queenstown is the adventure capital of New Zealand. 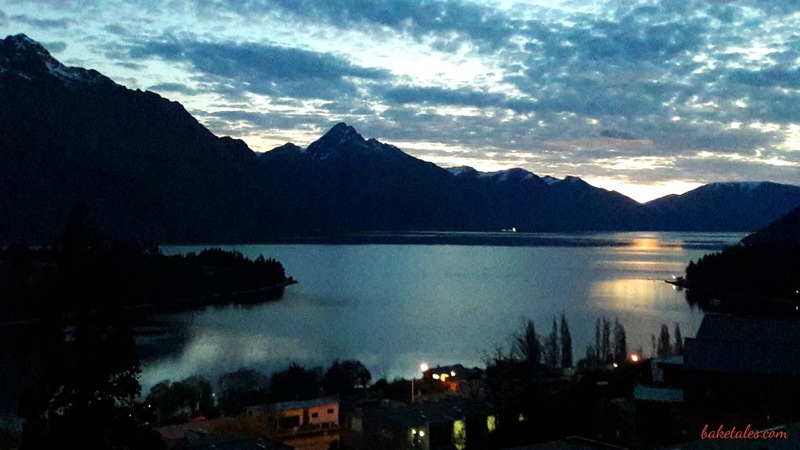 Bungy jumping, jet boating, ziplining, cycling, mountain biking - if you're an adrenaline junkie, it's the place to be. 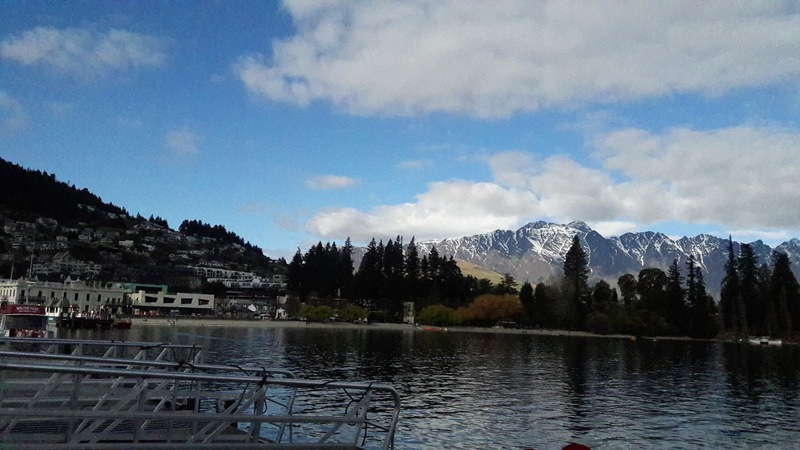 In winter, it's all about skiing on the nearby mountain range called the Remarkables. It is a beautiful town with steep roads, homes with pretty gardens, shops selling outdoor clothing, camping equipment and souvenirs and plenty of restaurants and pubs. Adventure tourism is big business here. A rainbow to complete the picture! We were spending 3 days in Queenstown where we didn't have to wake up early and load up the car. Martin was the the host of our beautiful and well-maintained Airbnb. 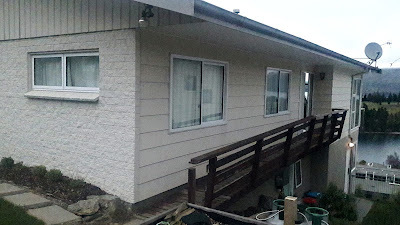 French windows led out to a deck which looked over Queenstown's golf course and afforded stunning views of the lake and the surrounding mountains. 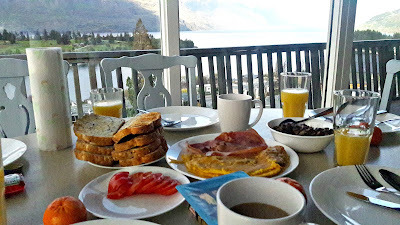 We would breakfast while watching jetboats speed across the water and were inspired enough to find out property prices!! It was cold but the perfect weather for us to walk around the town a bit and then hop onto the gondola to Bob's Peak. 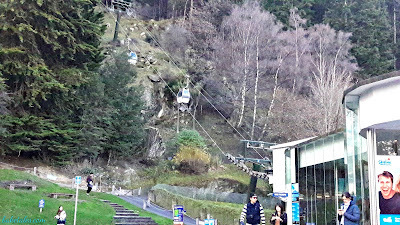 The Skyline Gondola, the steepest cable car system in the southern hemisphere lifted us high above the tall trees that grew on the hillsides and all the way to the top of the hill. The view from there of the town, the lake and the spread of the surrounding mountains is simply spectacular. Standing 450 metres above, we watched people of many nationalities speaking different languages doing the one thing that defines us as humans - taking selfies! We did too!! But we also saw the indomitable spirit that some people possess - there was a family that brought a wheelchair-bound lady to enjoy the view. 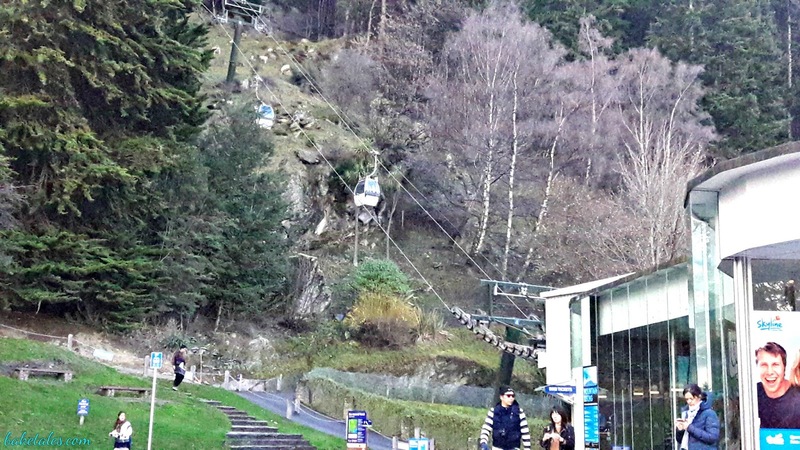 Bungy jumpers jumped off the tower beside us and luge carts trundled by below. Paragliders flew across the skies and people who brought their mountain bikes up in the gondolas cruised on them down the slopes. There was a Kiwi Haka show that showcases Māori culture in the little theatre in the complex. Māori performers first determine that we have come as friends. We are then welcomed solemnly and ceremoniously with a prayer and a song with actions where they tell us of how their ancestors came to be. The ladies in the audience were invited on the stage where the women taught us a dance with the poi (a kind of woollen ball). After that, it was the turn of the men to go up on stage where they were taught a series of movements with much stamping of feet, sticking out the eyes and tongue and shouting, a throwback to the Māori warrior traditions. Luckily, the next day was a Saturday as every Saturday, the waterfront is the setting for the Queenstown Creative Arts & Crafts Market. 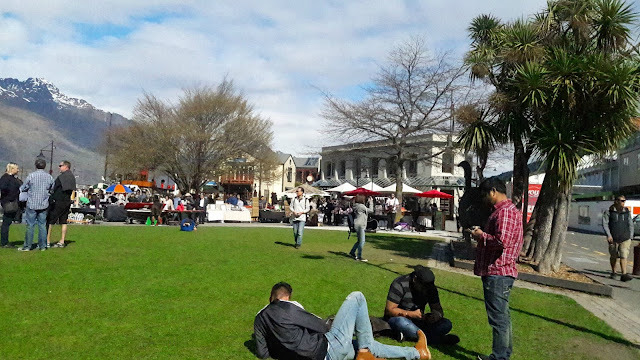 Several people had made themselves comfortable on the grass and there was a band playing live music. Talented local artists and artisans come to this space to sell their work. There are stalls selling jewellery, hand-blown glass, handmade soaps. pottery, woollens, even paintings. Charlie's stall had quite a few wooden platters, trays and chopping boards. 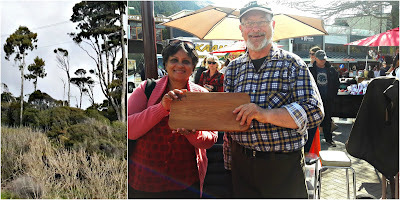 The board I chose was made of 2 kinds of native wood - rimu and matai. Charlie told us that we must have passed many rimu trees on our journey and described them as tall, skinny trees with a bunch of leaves on the top. He also gave me a few tips on maintaining my new board! 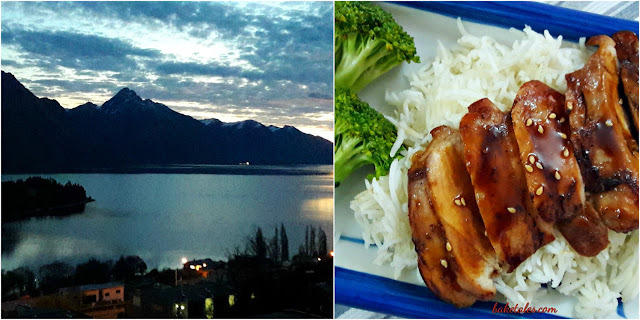 Queenstown restaurants serve food from all over - from pub fare to pies, burgers and sandwiches, Chinese, Indian, Cuban and Asian. 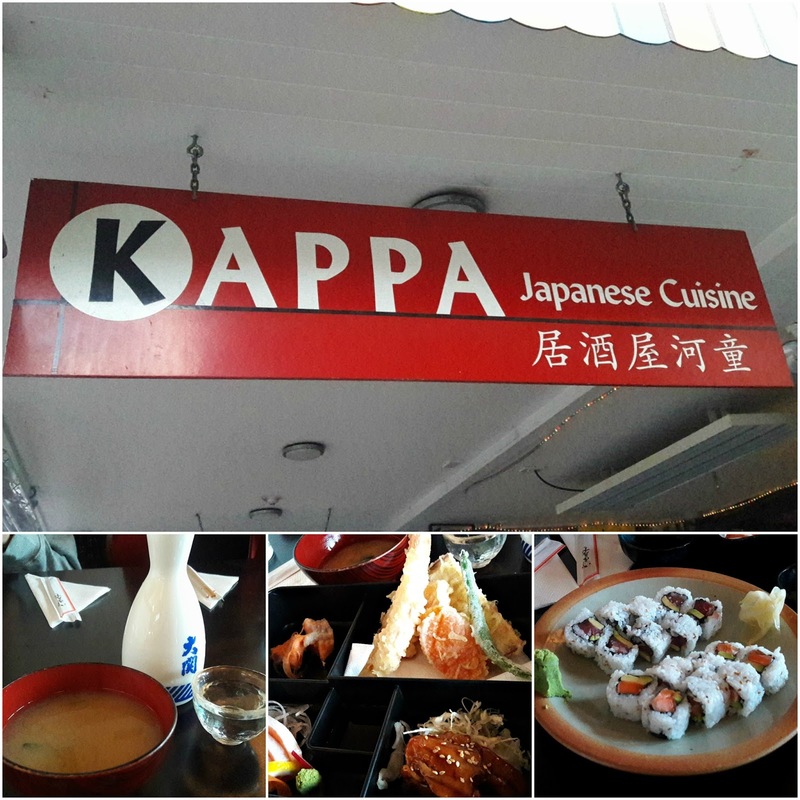 Lunch was at Kappa Japanese restaurant where we had bento boxes consisting of miso soup, prawn tempura and the freshest salmon & tuna sushi and salmon sashimi. With sake, of course! Dry Kiwi humour on a peppery, medium dry white! 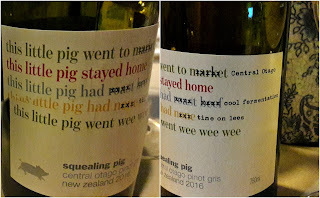 New Zealand is well known for wines, and though we did not pass any winery, supermarkets stock some really good brands. Mix Teriyaki sauce, dark soya sauce, sugar, pepper and ginger slices. Add a little salt only if necessary. Marinate the chicken in this mix for about 4 hours. Heat and lightly grease a grill pan and place the meat on it. Discard the ginger slices; save the remaining marinade. When one side is done, turn the pieces around and cook till the chicken is done. It should take all of 12 - 15 minutes and the juices should run clear. 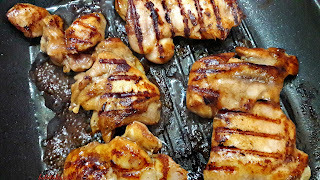 Slice the chicken and when the pan juices have thickened, pour over the chicken. 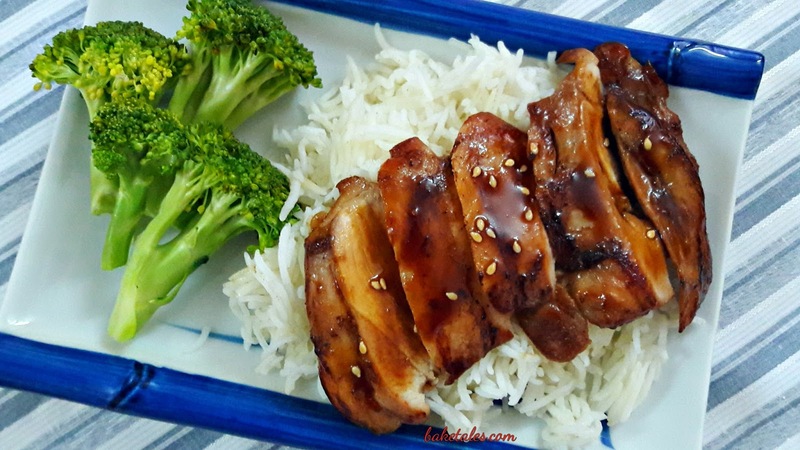 Best served with steamed rice or with Chinese pancakes. * Beef or pork can also be used instead of chicken. If you do, flatten the pieces with a meat mallet before marinating them.